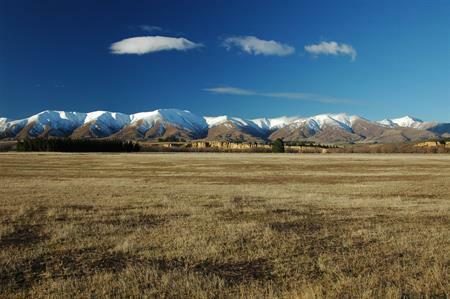 Spring is a beautiful time of the year here in Central Otago and the perfect time for your next cycle adventure. Trail Journeys are offering a special for the months of September 2018 and October 2018. 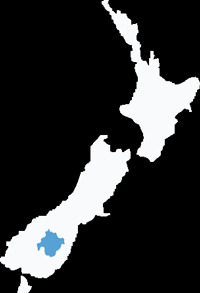 Book a bike during these two months on either the Otago Central Rail Trail, Roxburgh Gorge or Clutha Gold Trails and we will offer you a 15% discount off the normal retail price of our bikes. For more information on the bikes we have available please visit our website: www.trailjourneys.co.nz or to make a booking please email us: info@trailjourneys.co.nz or phone: 0800 030 381. Please quote TCOTJ18 at the time of booking to receive your discount. Stay one night in the Old Store self-contained apartment at the Lauder Store B & B and get the next night free. Suitable for families, couples or solo travellers, 1-4 guests from $195 - $295. A delicious continental breakfast provided on both mornings. Free use of luxury spa pool and WiFi. Bike hire available to ride the rail trail and experience the nearby spectacular Poolburn Gorge area. Offer available from Sept 1st to Oct 31st, 2018 and subject to availability. Bookings via our website (Please mention the offer) www.lauderstore.co.nz , or by email info@lauderstore.co.nz or by phone 021 067 2488/ 03 447 3006. A combination of adrenaline! A single Go Kart on our purpose built 650m outdoor track (all karts fitted with transponders so we can give you your lap times) and a lap of the Highlands circuit in a Supercar – the stuff of dreams, you’ll be fizzing from the experience. Normally $224, special rate $199 per person. ​A combination of adrenaline! Adrenaline inducing German built Go Karts with transponders to record your fastest time. Choose from Single or Tandem (for the kids) and race on our purpose built 650m outdoor track for 10 minutes. Then experience our Supercar Fast Dash – this is the stuff of dreams! One lap in a Highlands Supercar. You’ll be left fizzing from the experience, luxurious speed at its best! Every person dining in the evening at Olivers Restaurant, during the months of September and October 2018, will be entered into a draw to win one of three prizes. Each prize will be a one-night stay in a premier room at Olivers Lodge, inclusive of a freshly baked hot breakfast. In addition, the prize winners will receive a $50.00 voucher redeemable at Olivers Restaurant. Prizes will be valid for 12 months and accommodation is subject to availability when booking. The prize draw will take place during the first week of November 2018 and the winners will be advised by email and/or phone. Book Olivers Restaurant can be booked on our website www.olivers.co.nz , via email bookings@olivers.co.nz or by phoning 03 449 2805. Stay at Antique Lodge in Clyde. 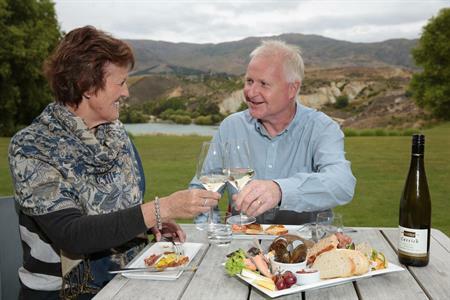 Experience the best of Spring in the heart of Central Otago, by unwinding and relaxing in 5-Star Qualmark apartment villa accommodation set on the shores of Lake Dunstan. Enjoy a Family Villa, equipped with three large king sized bedrooms, full kitchen, dining and lounge plus a large outdoor deck over the water and a lower deck with boat jetty. Room accompanied by a cheese platter on arrival and free breakfast in the on-site signature Moorings Restaurant. All for only $359 per night*. * Rate based on 4 Guests – Extra Guest charge $39 per night (up to 2 extra Guests – Maximum total occupancy 6 Guests). Minimum 2-night stay. To enquire on dates and book your stay please contact our reservations team direct on 03 445 3417 or stay@lakeresort.co.nz and mention this Spring Deal.